Ahoy, mateys! I’m Heather, and I’ll be bringing you the up and coming on all things Disney Cruise Line. Welcome back again this week. Let’s see what’s new in the DCL world! So you booked your Disney Cruise! Yay! Now what? Tammy highlights 10 things that you can book before you sail, to make sure you don’t miss out on any of the fun! During your cruise, don’t forget to check out the Navigator and stop in to the “Disney at Sea with D23” show. Each month, the show will be updated with the latest and greatest fun that’s to come in movies, theme parks, and more. Topics on deck include a sneak peek of Star Wars: Galaxy’s Edge, and the live-action remake of Aladdin. For future reference, films debut on Disney Cruise Line the same day of their initial release in the United States. Films do vary by ship. Show times are available in your Personal Navigator or the official Disney Cruise Line app. If you’ve cruised with DCL before, you’re familiar with the Personal Navigators that you receive for each day of your cruise. The embarkation edition is received when you check in at the port. Each evening, your stateroom host leaves a copy for the next day in your room. It’s always fun to sit together and plan your attack for the next day. Maybe you’ve even been that family with a different color highlighter for each family member, marking up your personal plans of choice. It’s a highlight of the evening (pun very much intended). Well, you may want to swap out highlighters for phone chargers on your future packing lists. The Disney Cruise Line Blog is on the Disney Fantasy this week, and is reporting that Personal Navigators are no longer being delivered daily to staterooms. Instead, guests are being encouraged to use the Disney Cruise Line Navigator app to access the schedule of daily activities. Guests are still receiving the good old paper Navigator at check in. This one of course has the schedule of activities for embarkation day, as well as the general overview of the cruise. From here…be prepared to charge up your phones, because you’re going to need them. While all the info present in the paper Personal Navigator has been available in the app for some time now, the crew is really pushing guests to use the app for the daily schedule of events. If you don’t have a device to access the app, or you just cannot give up your old habit of having a paper Navigator, there will be copies available at Guest Services. But, be prepared to wait in line to request one – they aren’t being left out on the counter for a quick grab and go. DCL has ramped up the efforts to be more green recently, with the reduction in single-use plastic straws, and moving from single-use toiletries to refillable bottles. This seems like it may possibly be another move in the green direction. It’s also certainly a cost saving approach – while it doesn’t happen often, during times where a scheduled port day may change due to weather, for example, it is much more cost effective to simply update the app with the change in schedule, rather than printing a large stack of new Navigators. How do you feel about the Navigator going (mostly) digital? Do you prefer to be hands-off technology during your trip and want the paper? Are you excited about having the info at your fingertips on your phone? Tell me in the comments! 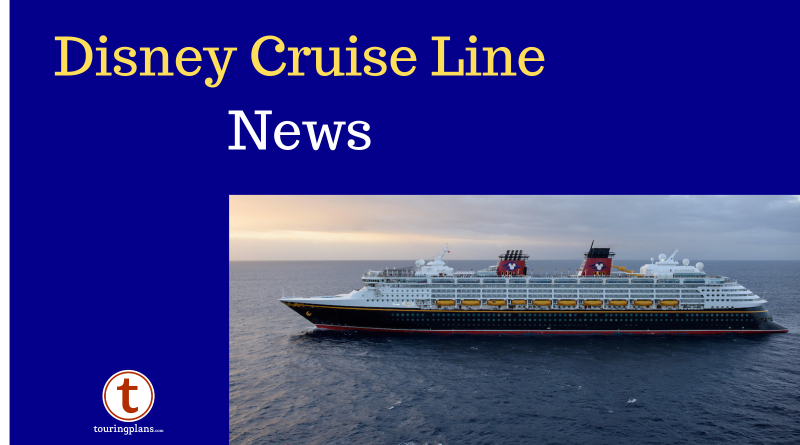 Special thanks to Scott Sanders of The Disney Cruise Line Blog for assistance on this article. Thanks for joining me again this week. “Sea” you next time! The Disney Cruise Line Preview is brought to you by Storybook Destinations. 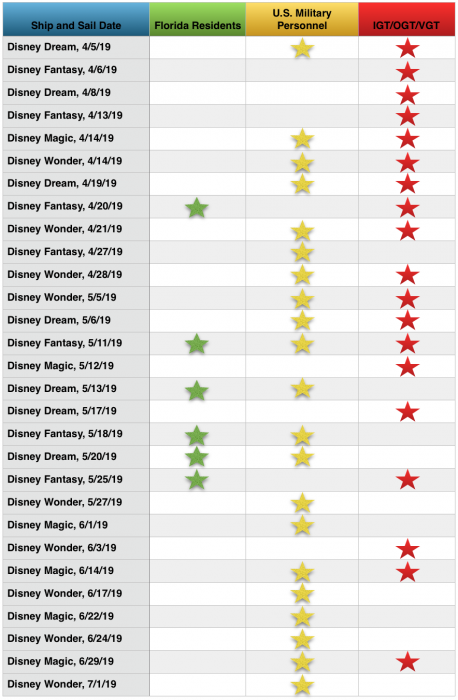 Storybook Destinations specializes in Disney travel, is consistently highly rated by our readers, and is owned by our own blogger extraordinaire, Tammy Whiting. Storybook also offers free subscriptions to TouringPlans to clients with qualified bookings. Losing the paper navigators is slightly disappointing. We are taking our children on their first DCL vacation, and I can imagine my son pouring over some of the days’ activities on the Navigator, but he’s too young to carry a phone. I think that will curtail some of his enthusiasm on a day-to-day basis. At least you can still request them from guest services. I would rather they keep the paper advertisements for the spa, DVC, special jewelry shows and instead allow the navigators. Totally agree with you on that!! There is certainly a lot of paper used for those. I can definitely see the little device-free cruisers wanting a paper copy! Hopefully a daily field trip to Guest Services will be a fun little adventure for him! I just returned from a recent cruise on the Wonder, and it was already the case that Navigators were not distributed. Being on vacation is a nice time to unplug. It sure would be nice to know what is going on without having to look at my phone while I’m trying to unplug.